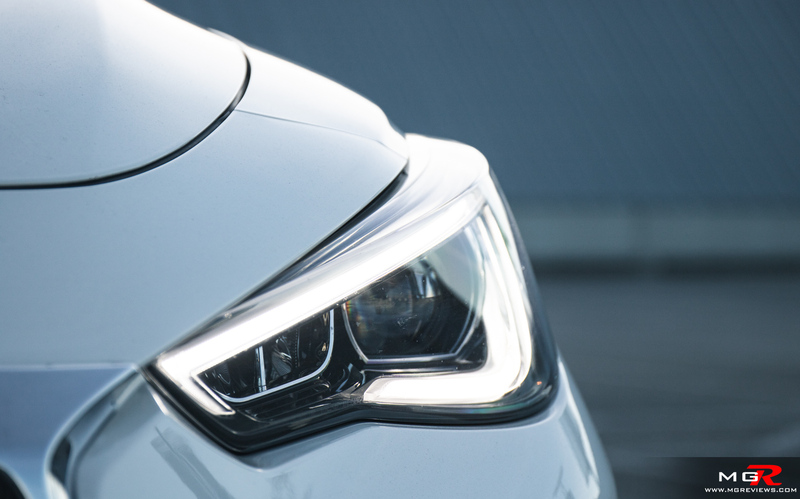 Luxury coupes may be considered a mid-life crisis to some but to others, they offer premium comfort wrapped in a stylish package. 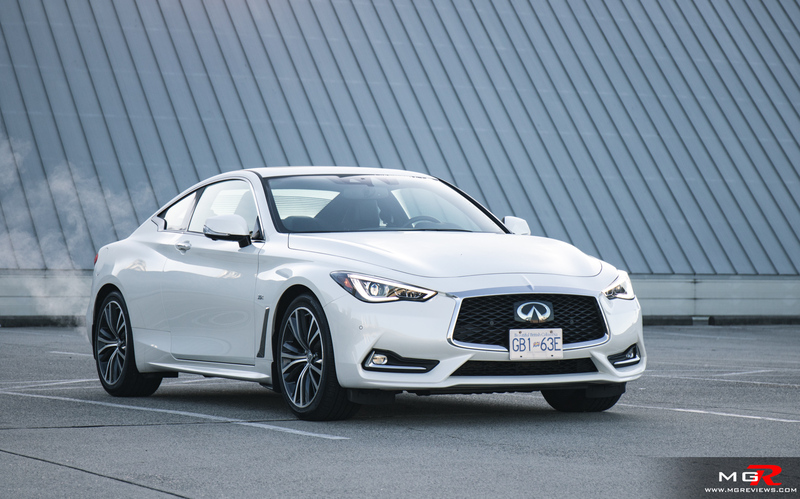 The 2018 Infiniti Q60 has its work cut out for it though because it competes against the likes of the BMW 4-series, Mercedes C class and Audi A5. A well established lineup of German rivals. So, how does it stack up? Engine – You can get a 2.0 turbo, as is the norm these days, but this particular demo vehicle has the optional twin-turbocharged V6. It’s not the 400 Red Sport unfortunately but at 300 ponies, it still feels quite spritely despite the 1,793 kg body. Like many other turbocharged engines, power comes at low rpms and plateaus at a few hundred rpms before the redline. In everyday driving the engine barely goes past 2,500 rpms when accelerating from a stop or overtaking on a highway but the power is there should you ever want to feel like a kid again. The downfall though is poor fuel economy. In my week of driving this Q60, the best fuel efficiency score I could achieve was 13.8 L/100km which consisted of about 90% city driving. 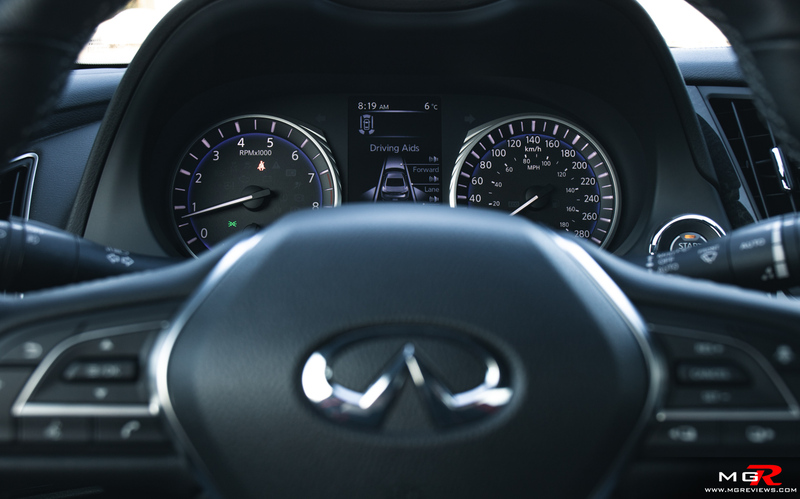 Infiniti claim a city fuel economy figure of 12.3 L/100km. 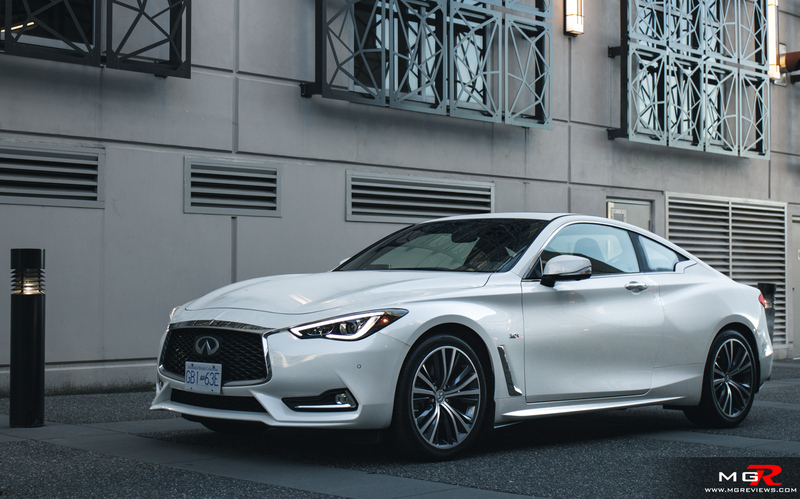 Transmission – A 7-speed automatic (not a CVT, thank you Infiniti) is the only transmission available with the Q60. As far as automatic transmissions go, this one is very good. Smooth in normal driving modes and fast in the more sporty driving modes. On downshifts, it blips the engine like how a dual-clutch transmission would for smoother shifts. 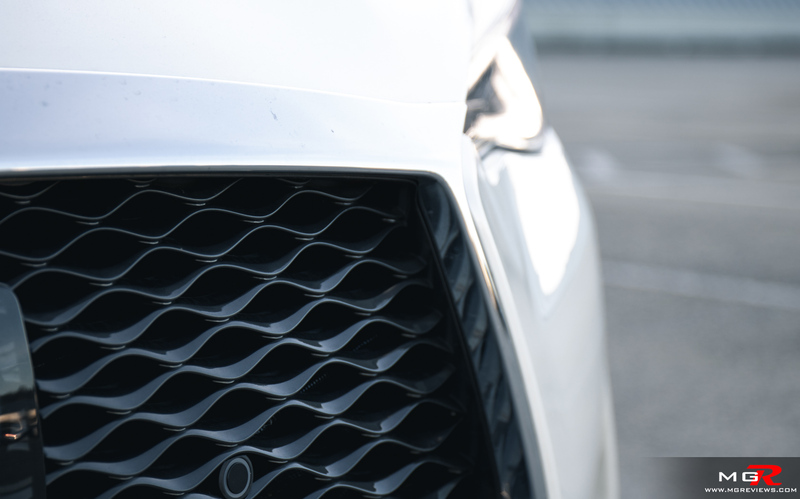 This particular feature of the 7-speed auto is not the smoothest when compared with other vehicles that do this like the Lexus ISF but it does make for a more engaging and sporty drive. 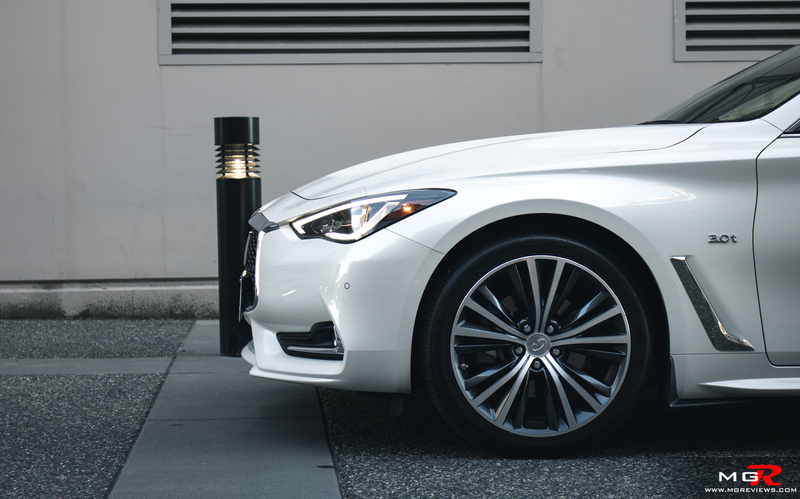 Braking – Under normal driving conditions, the brakes on the Q60 are good. They’re easy to modulate for providing smooth deceleration with minimal effort. When driving more enthusiastically, the brakes can feel a bit more fatigued as they try to cope with stopping such a hefty weighing coupe. 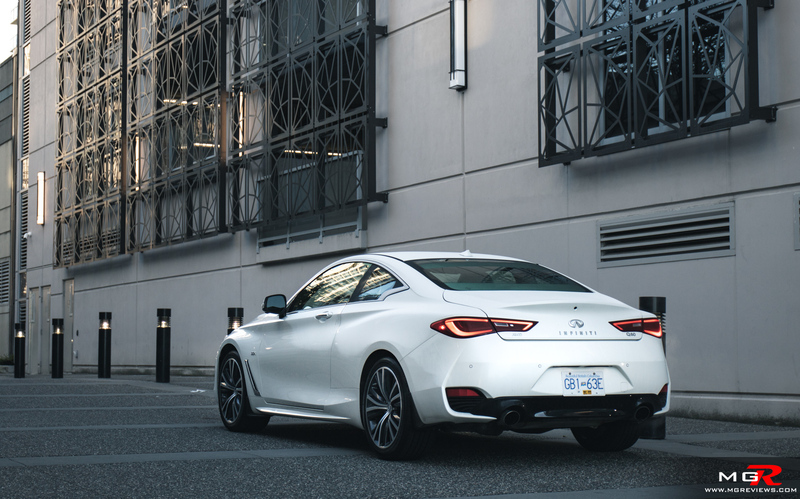 Handling – The Infiniti Q60 is available with both electro-assisted power steering and their new Direct Adaptive Steering on the higher trimmed models. 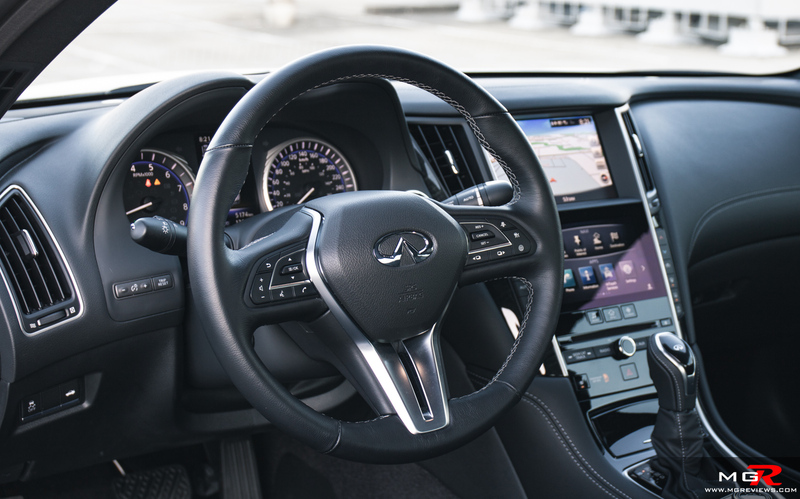 The latter is the same system that is found on the upper trims of the QX50 crossover SUV but in the Q60 it does provide a slightly better steering wheel feel. It’s still not the best when it comes to providing driver feedback, the Mercedes C300 provides better feedback with its electro-assisted steering rack. 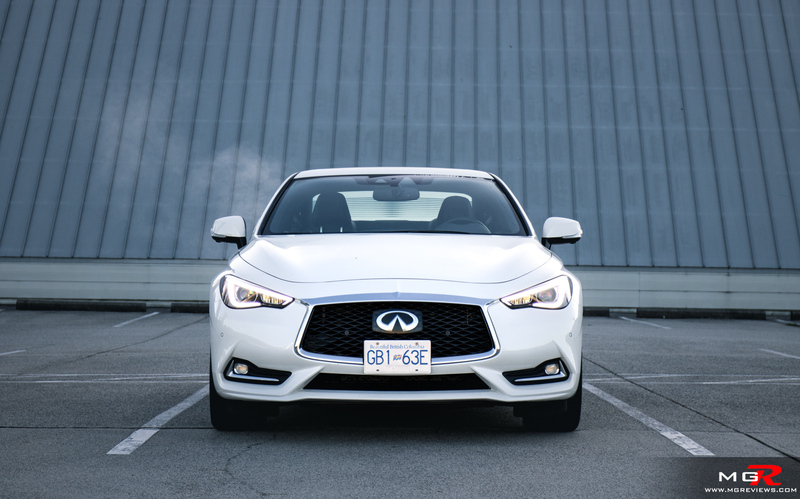 But in the Q60 it does feel more lively than in the QX50 and on highways, it doesn’t constantly require little driver inputs to keep the car going straight making for a more comfortable drive. 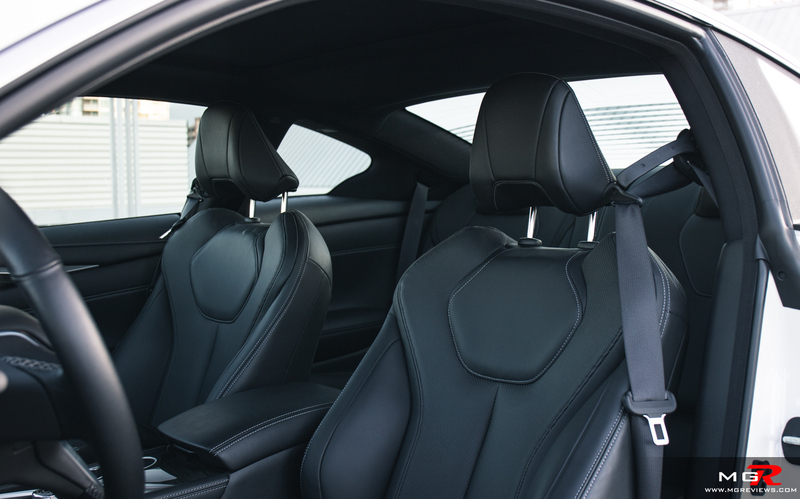 Ride Comfort – The electronically adjustable suspension may be sport tuned from the factory but even so, the ride is superb. The car doesn’t feel like an old 1980’s American boat, the suspension is firm enough to let you know that you’ve just driven over a small crack in the road. 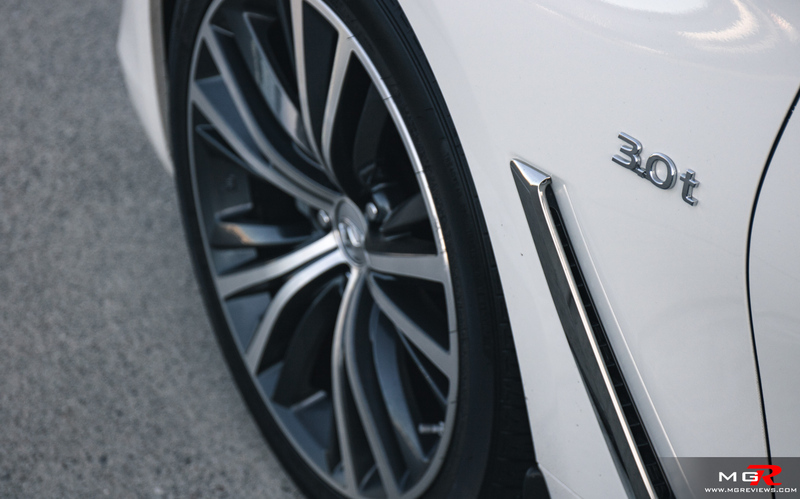 But it also absorbs shocks and bumps that the roads may throw at the Q60 without giving the occupants a back breaking drive. 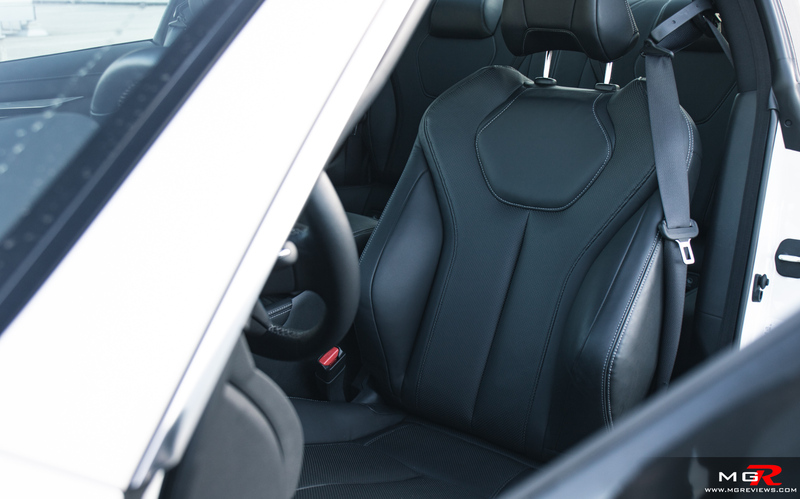 The front seats offer a good amount of comfort and adjustability with the driver also having adjustable side bolsters. 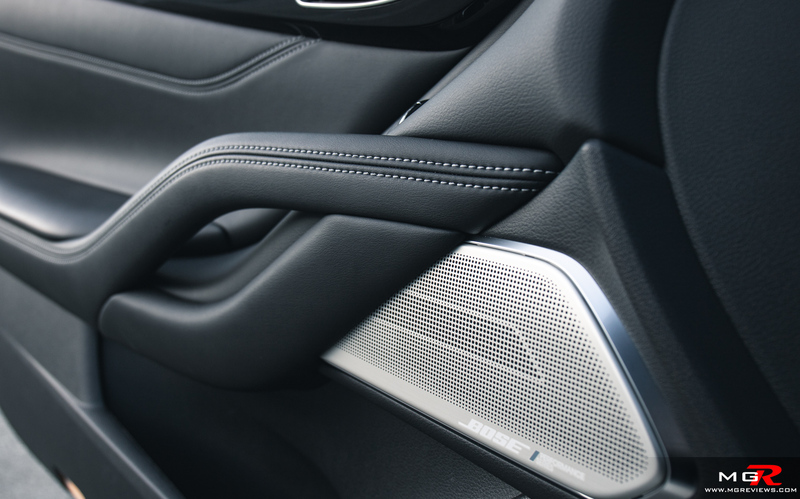 The rear seats however are best suited for small children… or briefcases. 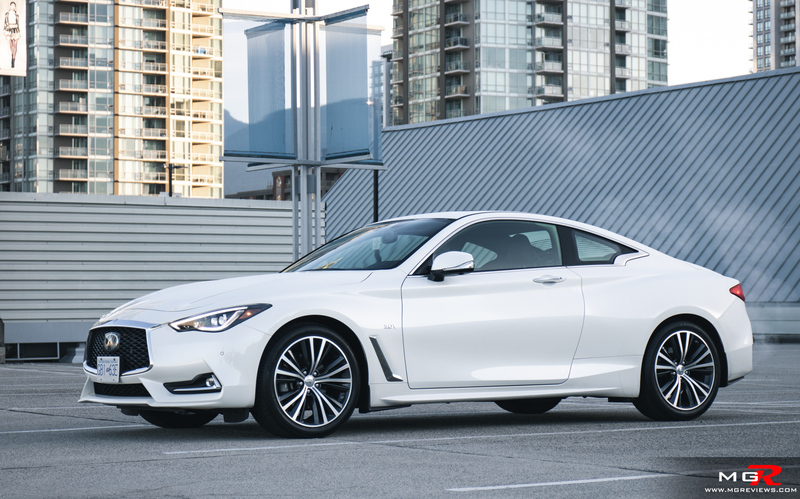 Noise, Vibration, & Harshness – Like other Infiniti models, the Q60 doesn’t display any signs of poor build quality through squeaks or rattles. Everything inside the cabin feels well put together. On highways, the noises coming from the road and wind are not excessively intrusive into the cabin. 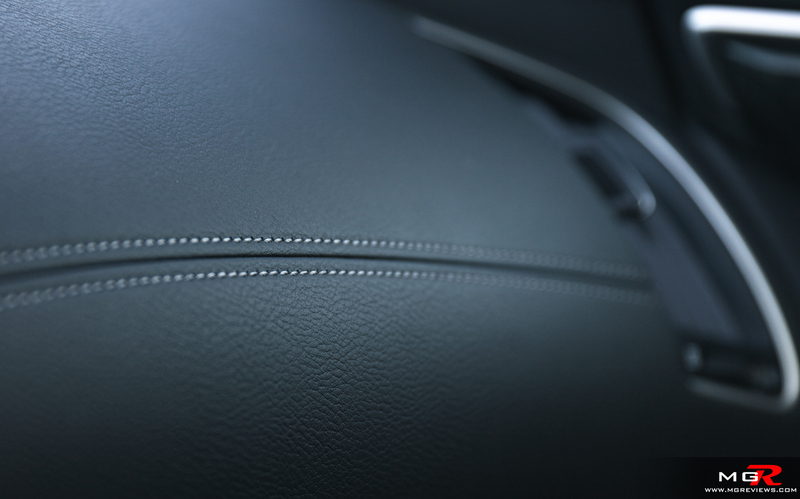 Interior Design – Like the QX50, the Infiniti Q60 boasts a similar interior design layout. A dual touchscreen infotainment is the predominant feature on the dashboard with leather and aluminum trim lining the rest of the dash and center console. 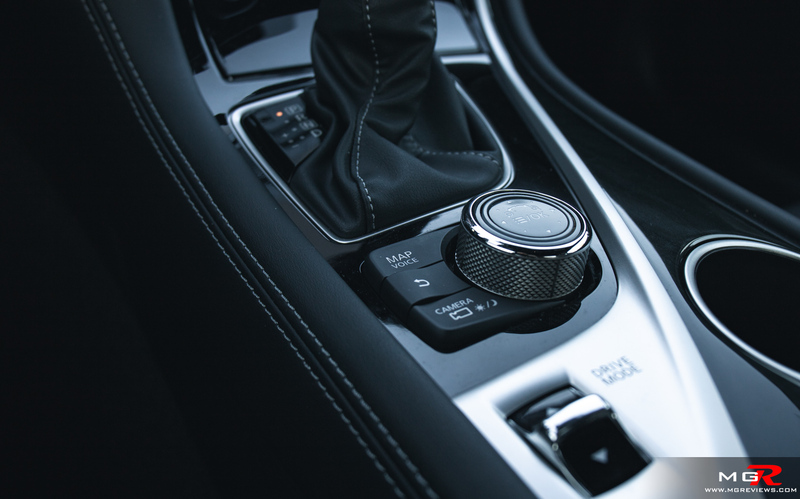 My only gripes with the interior design is the shifter which is a bit too tall to comfortably rest your hand on and the traditional foot parking brake. 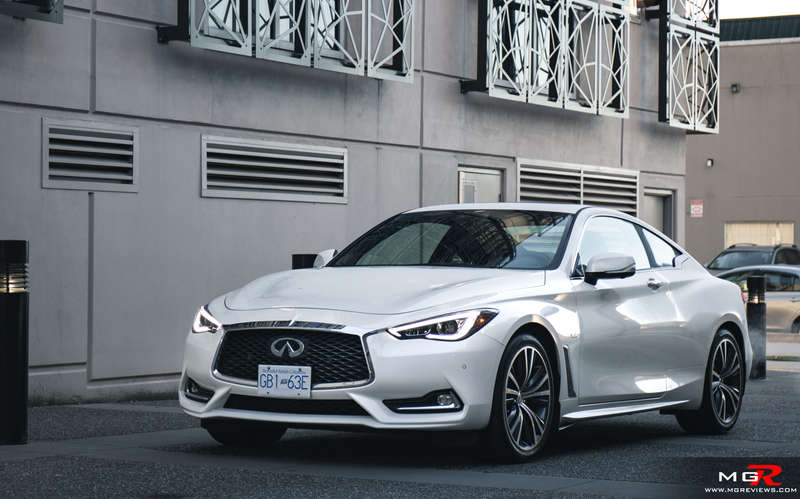 Gadgets – The 2018 Infiniti Q60 can be fitted with the same safety features that are found in many other vehicles today. 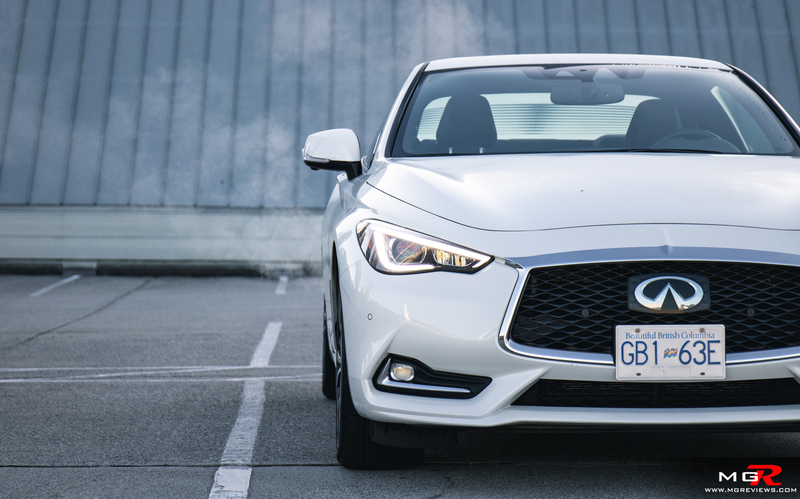 Unfortunately features like forward collision alert and emergency braking are not standard on the 3.0T and are not even available on the 2.0T equipped Q60 models. I find that last part a bit odd considering you’re paying at least $46,000 CAD for the 2.0T equipped Q60. I would at least like to have it as an option. The dual screen infotainment works well with the bottom screen being much more responsive than the upper screen. Apple CarPlay and Android Auto are not supported and the whole system is showing its age. 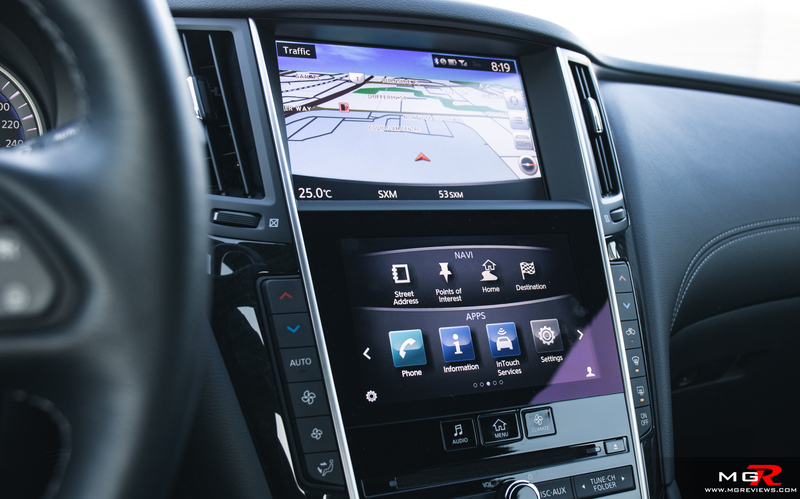 However, there are rumors that a new infotainment system is being developed but that it won’t arrive until maybe 2020 or 2021. 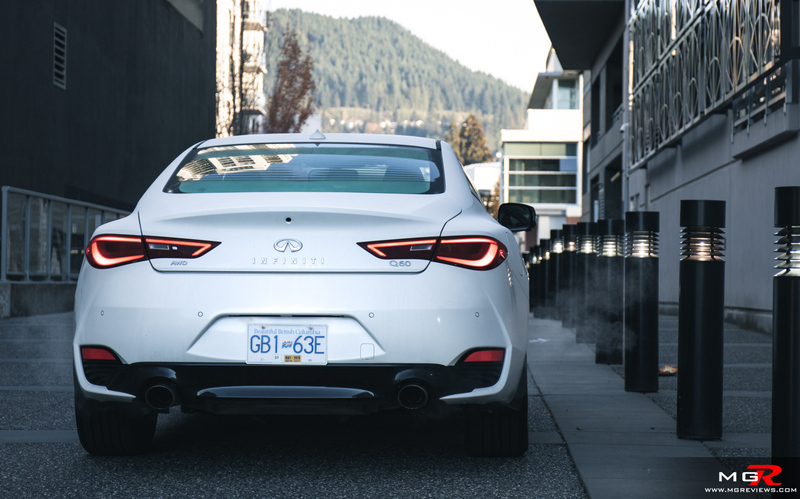 Exterior Design – Compared to just about every other car on the road in this price bracket of $46,000 to $61,000 CAD, the Infiniti Q60 is arguably the prettiest one of the bunch. Maybe the BMW 4-series with the M-Sport package can look as good as the Q60 but that’s already at the mid to high $60k range. 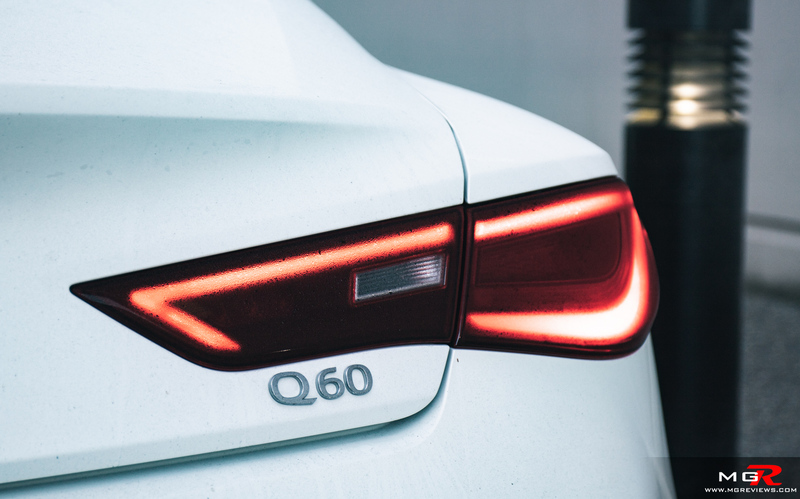 I especially like how the Q60 looks at night with the LED headlight and tail light accents. It is beautiful. So back to the original question, can the Infiniti Q60 take on the German rivals? In many ways, yes it can. It is a beautiful and comfortable daily luxury coupe that won’t break the bank in its price range. However if you’re looking for pure sporty dynamics, the Germans are hard to beat.